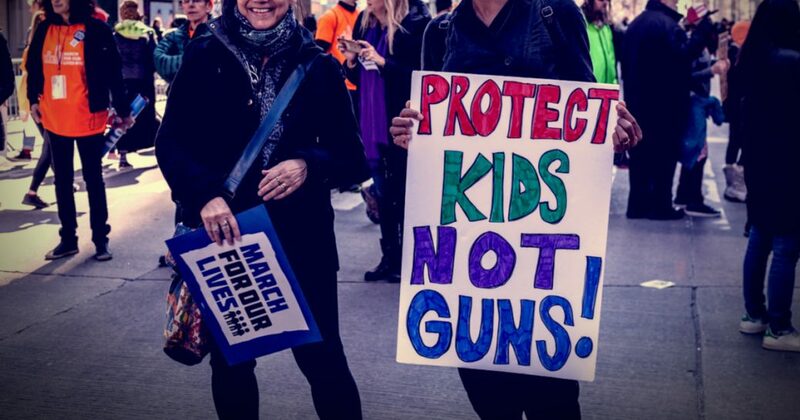 Last Saturday’s “March for Our Lives” rally had a wealth of protesting voices, but little common sense. How topsy turvy is our political landscape when hundreds of thousands gathered in Washington, DC to protest the Bill of Rights: specifically the Second Amendment? Benjamin Franklin would counsel the outspoken masses thusly: “Those who would give up essential Liberty, to purchase a little temporary Safety, deserve neither Liberty nor Safety.” For the illusion of some greater sense of security, individuals would willingly submit to further government restriction and control? Yet, in large part, wasn’t it the failure of law enforcement that facilitated the Parkland, Florida school shooting rather than preventing it? Deluded marchers, as embattled Broward County Sheriff Scott Israel, completely miss the lesson of the Valentine’s Day massacre of 17 at Marjory Stoneman Douglas High School. It’s not about blaming the gun or even the homicidal shooter. It’s about the complete failure of the State to protect the local population from a clear and unmistakable danger. It’s about profound incompetence masked as self-congratulation. What else explains Sheriff Israel’s disinterest in immediately viewing the video of his four errant deputies: who neglected to enter the school while the shooting took place? What else explains his laughable statement to CNN’s Jake Tapper, “I’ve given amazing leadership to this agency” the following Sunday? He’s ignored calls for his resignation, and refused to release the video of his officers’ dereliction of duty. What does that say about this public servant’s responsiveness and accountability? In essence, “March for Our Lives” malcontents advocate giving Sheriff Israel’s ilk more power. Is that wise given their colossal bungling—that cost lives rather than saving them? Specifically, an armed deputy wearing a bullet proof vest (a resource officer sharing the already infamous name Scot Peterson) arrived 90 seconds into the attack, but remained outdoors while the perpetrator shot innocents inside for nearly five minutes. Sheriff Israel’s other responsibility-phobic officers milled around outside too. In retrospect, can anything good be said about these cowards? Per Naples Daily News, authorities received at least 18 warning calls from 2008 to 2017 regarding Nikolas Cruz, 19. NDN reports, “In February 2016, neighbors told police that they were worried he ‘planned to shoot up the school’ after seeing alarming pictures on Instagram showing Cruz brandishing guns.” So neighbors (a group that historically never sees or hears anything about a given suspect) saw something and said something. Marjory Stoneman Douglas High School also did something. Per Fox News’s Sean Hannity, Mr. Cruz was such an apparent threat, he was prohibited from wearing a backpack for security concerns. Ultimately, he was expelled from the school for misbehavior. Shockingly, law enforcement visited Cruz’s home 39 times over seven years. Even the FBI was alerted twice: one instance was just weeks before the shooting occurred. Despite all these blurry blue lines of bureaucracy, this highly preventable tragedy was not. The fact that Officer Peterson resigned, and suspect Cruz was arrested, is cold comfort to the families who lost loved ones in such a violent and horrific manner. Despite numerous red flags authorities dropped the ball on every level. In that regard, nothing at Marjory Stoneman Douglas High School has appeared to change. As reported by local10.com‘s Tim Swift last Tuesday, a Broward County sheriff’s deputy, Moises Carotti, has been suspended—with pay—after he was caught sleeping in a patrol car outside that very site! If “March for Our Lives” anti-gun protesters are looking for a legitimate reason to object, a golden opportunity exists: police not serving the communities they’re sworn to protect. Hence, the real issue here is not guns. As with all objects that can be weaponized (read: cars, bats, knives, rocks etc.) doesn’t the wielder vitally determine whether something is good or bad? In a free society that answer is always yes. What all of this hubbub boils down is who to trust: faceless government bureaucracy or the individual to make responsible choices. Unfortunately, the reality here is that law enforcement has fallen inexcusably short, contributing to 17 deaths. Therefore, legally armed white hat elements in our society should fill in the gap. Naturally, most teenagers understand none of this. How can they when they’re biologically impulsive and notoriously shortsighted as to life’s consequences? Their wish to be cocooned in metaphorical bubble wrap is certainly understandable: it’s the naive thinking of the unrealistic dreamer. Yet, what of the mature bubbleheads supporting these misdirected young marchers? It’s pure folly for adults to believe these kids will save us from ourselves. From playwright Herb Gardner’s aptly named “A Thousand Clowns” comes the common sense adage: “Out of the mouths of babes comes drooling”. For good reason since time immemorial adults have guided children, not vice versa. Only the aged and the addled follow anywhere teenagers lead. Leftists Are The Attackers, Not VictimsWhat Makes One a Mass-Shooting Survivor?